Ski in – Ski out: Hotel Gaspingerhof is the perfect base for snow-sure skiing from December to April. 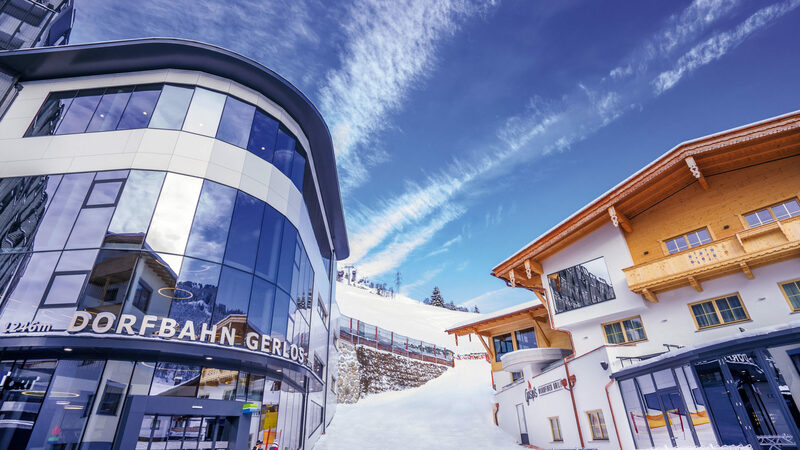 The hotel has a direct underground connection to the 10-person gondola lift “Dorfbahn Gerlos” which takes you to the fantastic ski slopes of the Zillertal Arena within just a few minutes. Winter Holidays in Tirol offer winter sports enthusiasts the opportunity to partake in a multitude of activities. Perfectly groomed ski slopes, top modern ski gondolas and lifts, an extensive offer for active families and plenty of opportunities to discover the cold season from its gentle side – winter holidays in the Zillertal are incredibly versatile. Improve your carving swing on more than 143 kilometres of ski slopes in the famous Zillertal Arena. Forget the stress of everyday life during a winter hike or explore the scenery on snowshoes or cross-country skis. Those who are looking for action can test their skills in various snow and fun parks. At the Hotel Gaspingerhof we pamper you with genuine Tirolean hospitality, a great spa & wellness offer and our excellent cuisine. The Zillertal Arena, which is the biggest skiing area in the Zillertal, boasts 143 kilometres of ski pistes accessed by 52 gondolas and lifts, stretching from Zell am Ziller to Gerlos in the centre to Krimml-Hochkrimml and Wald-Königsleiten. High altitudes of up to 2500 metres and modern snow-making systems make the Zillertal Arena a 100% snow-sure ski area from December to mid-April.